Years ago I had an amazing employee, let's call her Julia. She was efficient, professional, creative, great with clients, and frustrated and I didn't know it. Julia loved her work, but she hated the politics of the large organization we were part of. Her personal life was suffering, she wasn't sleeping. Through the years I must have complimented Julia a hundred times, sent her a dozen thank you notes, presented her awards, promoted her, gave her great reviews and above-average raises. I thought I was a great leader doing all the right things that we all read about in best books! The problem: Not once did I ask her if she was dissatisfied with the work experience or thinking of leaving. Finally, one day she sat in my office and told me she was quitting; and sorry, there was nothing I could do. 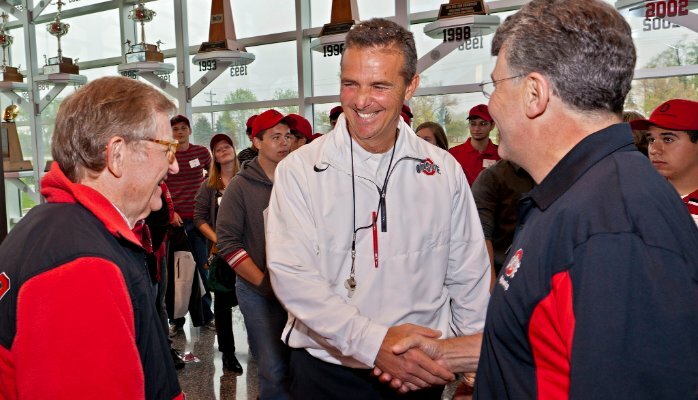 Unless you are the Urban Meyer of corporate managers, you've probably lost an employee or two you didn't want to. Of course, some turnover is inevitable; after all if no one wants to steal your employees you probably aren't hiring the most talented people. But now and then you lose people like Julia, those who are valuable and who aren't leaving for greener pastures, and it hurts. Turnover like this has a negative impact on employee morale, productivity and even revenue. It took us some time to replace this talented woman, and customer work suffered during that spell. After all, recruiting and training a new employee requires time and money. The Society for Human Resource Management (SHRM) estimates that every time an organization replaces a salaried employee it costs, on average, six to nine months' salary. Other experts predict the cost is even higher, that losing a salaried employee can cost as much as two times their annual salary, especially for an executive-level person or one with specific, unique knowledge important to the business. While the financial costs are important, over the years I've become most interested in the cultural effect of turnover. When Julia left—an obvious high achiever with a bright future—others on our team and throughout the organization asked "why?" I admit I was embarrassed. Not long after, my business partner Adrian Gostick and I put together a few questions we began asking our teammates, a list we now encourage our consulting clients to use as well. Is the job what you expected, and are you facing any roadblocks to hitting your goals? Are you getting all the information and training you need to do your job and feel part of the team? What's the best thing that's happened to you in the last 90 days (or year)? Have you noticed anything we could improve upon here, perhaps something you found that worked in other cultures? What one or two things get you jazzed about coming to work every day, and what makes you want to hit the snooze button? Is there anything that makes you think of quitting? This is not a performance review, it's a discussion and a time to listen. The key word there is… listen! We've found it's best to plan for a least half an hour to an hour of uninterrupted time, ask the questions with a pad and pen in hand. While clarifying questions are allowed, rebuttals are not. There's nothing that'll kill this conversation faster than:"That's actually not true Randall, you have been trained." We've had many managers tell us they now use these questions, or their variations on them, and say they are a way to understand the real concerns of their teams. The process helps people know they work in a culture where their ideas and issues will be heard and logged. In our team it certainly seems that our talent is now more willing to share; and hey, we haven't lost anyone since Julia. I always read the comments below, I love the conversation, positive and negative; the LinkedIn forum is the best! If you're a manager, I'd love to hear how you retain your talent; if you are an individual contributor, I'd like to know how a great manager retained you. These stories help us all to be better at our work.